There’s no generic bail bond for every situation, and that’s why we at North Las Vegas Bail Bonds offer different types of bail bonds. More specifically, a different kind of bail bonds will be required for each type of offense. A weapons charge will need a different bail bond than a charge for assault. Bail bonds can also be categorized according to the payment involved. While some bail bonds can involve complicated details, a cash bond is comparatively simple. A hearing will set the bail for the defendant, and after that you can simply go to the jail office and pay in cash for the total amount of the bond. In order to get the defendant released, you have to pay in person and the payment must be in full. The defendant must attend all the scheduled court hearings once they’re released from jail. The defendant must also obey all the stipulations of the court as well. Once the judge has decreed that the defendant has satisfied all their obligations to the court, the bail is refunded. However, some fees and restitution may be held back. As the name implies, securing this type of bond requires using real property as collateral. The crucial stipulation in property bonds is that the property must be fully owned by the customer. There cannot be any type of financial obligation on the property, and it must be fully owned free and clear. Thus, a house can be involved if the mortgage has been paid in full. Boats and other expensive vehicles. In order to adequately cover most property bonds, the value of the property must be assessed at 150% of the value of the bond. The extra 50% covers the cost of selling the property if for any reason the bail bond is forfeited. If the case of the defendant involves federal charges, then federal bail bonds are required. Federal bail bonds tend to involve much higher bond amounts than bail bonds for local and state charges. That’s because in general the federal charges come with much higher fines and penalties. For example, kidnapping is a federal offense, and it’s a much serious charge than a local charge for disturbing the peace. With federal bail bonds, restrictions are also generally stricter. It all depends on the severity of the alleged crimes and the past criminal history of the defendant. If it’s a serious crime and the defendant has an extensive criminal history, then they may still be kept at a facility for federal prisoners even with a federal bond. Immigration is always a rather complicated situation in the US, and that is why immigration bonds have become very common. This is what’s needed if the case involves illegal aliens. It is also required if the defendant is here in the US on an international visa or if they’re currently trying to get a green card. The costs of immigration bail bonds are typically higher than conventional bail bonds concerning US residents. That’s because with foreigners involved, the risk of flight for the defendant is much higher. If they’re not a US resident, then it is very possible that the defendant on bail may simply choose to return to the country they came from. If a defendant does return to their country of origin, our agency’s ability to bring back the defendant back to Las Vegas for trial is greatly reduced. Typically, immigration bonds are secured with property. That’s because the higher costs associated with cases involving foreigners. Very few customers have enough cash in their bank accounts to cover the cost, which is why fully owned homes and businesses are often used instead. You can call us at any time of the day, and on any day of the week. You will be able to speak with an actual bail bonds agent to discuss your situation. It doesn’t matter if it’s early in the morning right after Thanksgiving. The agent who answers your call will be qualified to handle your case from start to end. The agent can answer all your questions and clarify all the matters relevant to the case. We want to make sure you get all the information you need so that you can actually make an informed decision about what you have to do. We can explain what type of bail is needed for the situation and why such a type of bail is required. We may have to protect the customer who will act as a cosigner by refusing to write a bail bond for the defendant. In some cases, we may deem the defendant as unreliable, such as if they’re heavily involved in drugs or they have a very extensive history of criminal activity. These defendants may not be relied upon to meet their scheduled court appearances, and this can be very expensive for the cosigner. In other cases, the defendant may actually be much safer in jail than out in the streets. This may involve other criminals seeking to do harm to the defendant. At least in jail, they out of reach. Contact our office and we can offer a free consultation so that you can find out everything you need to know about what to do. The person who will answer all your questions will be a qualified bail bonds agent, not some uninformed staffer. You certainly won’t get a recorded message telling you leave a message or to call during “regular” business hours. 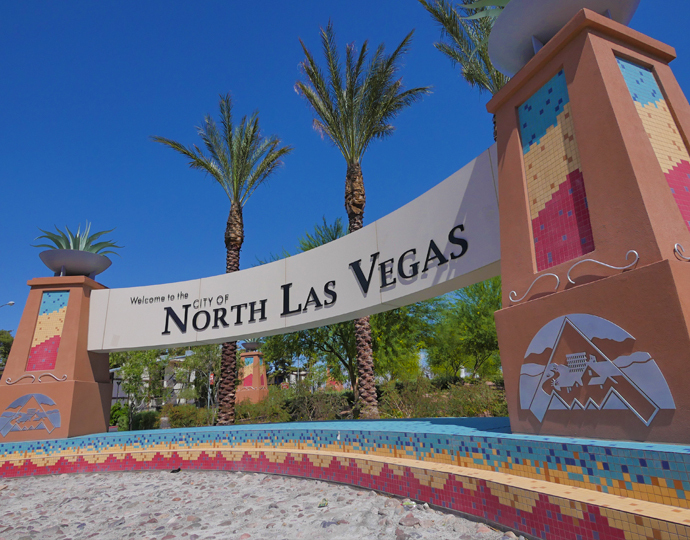 With North Las Vegas Bail Bonds, you can call us any time and we will answer promptly. The bail bond agent assigned to you will always make your case their top priority.